If pockets of stubborn fat or loose skin are affecting your self-esteem, consider Accent Prime™ Alma laser treatment. This safe and effective option helps visibly improve the shape and contours of your face and body by tightening and smoothing unsightly skin. 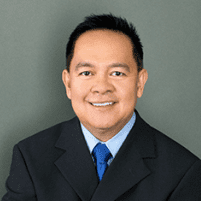 If you’re ready to complement your weight loss with youthful-looking skin, call Dr. Gilbert Sunio at Sunmed Health and Weight Management in Visalia, California or book an appointment online today. What is Accent Prime Alma laser treatment? Accent Prime Alma laser treatment is a state-of-the-art, noninvasive technology used for facial contouring, body contouring, and other forms of skin enhancement that complements your weight loss efforts. It contours and tones problem areas by reducing fat cells and tightening loose skin. Accent Prime Alma laser treatment uses cold ultrasound waves to destroy fat cells by disrupting fat cell membranes, which helps get rid of stored body fat. Radiofrequency heat energy tightens your skin, improves its texture, and promotes the growth of new collagen. Which areas of the body can Accent Prime treat? What results can I expect from an Accent Prime Alma laser treatment? Many patients also experience a boost in confidence and self-esteem after treatment, which can drastically improve your quality of life. Is Accent Prime Alma laser treatment safe? Accent Prime laser treatments are safe and effective for all types of skin. There are no side effects associated with the treatment, and you can get back to your day-to-day activities immediately after your session. Treatment with Accent Prime Alma laser is more comfortable than other laser treatments, as this technology provides an integrated cooling system with gradual heating. How many Accent Prime treatment sessions do I need? Talk with Dr. Sunio about how many Accent Prime laser treatment sessions are appropriate for you. You should expect about 4-6 sessions, which last about 20-60 minutes each. But you should start to notice results after just two sessions! Call Sunmed Health and Weight Management today to learn more, or book an appointment online.